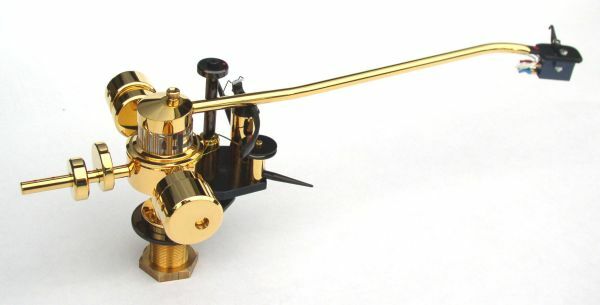 While playing a record, the tonearm must be able to move both horizontally and vertically – horizontally as the cartridge moves towards the center of the record, and vertically to allow for imperfections (warps and bumps) in the record. The DP-8 has a flywheel shaped central body and two weights on the sides to stabilize the movement of the tonearm horizontally. Thus, as the cartridge moves towards the center of the record, it can only follow the average location of the groove. It cannot follow the modulation, which is all transferred to the cantilever. This means that all the recorded bass, even the very low end of the range, is reproduced with full amplitude and dynamics. DP-8 with 9” PRECISION armtube. 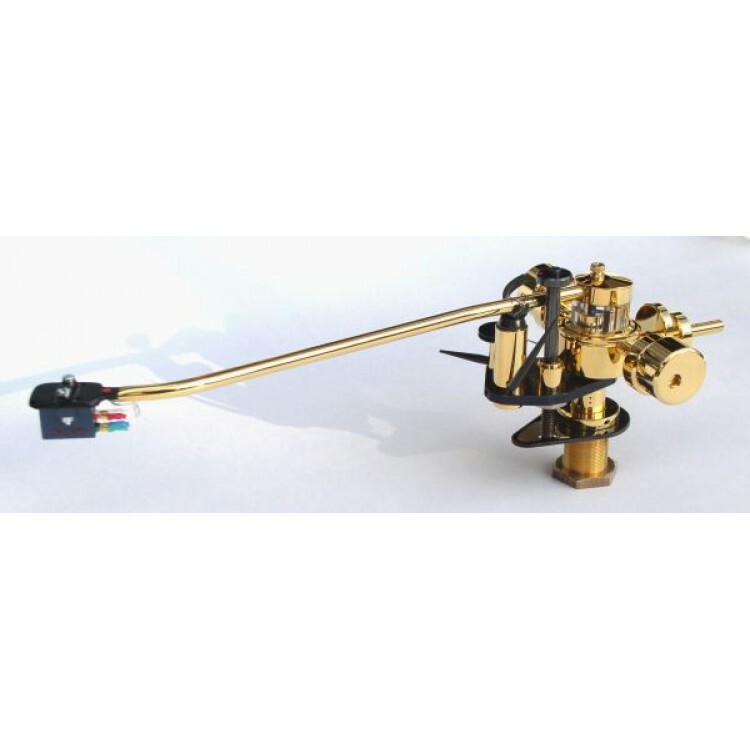 It is the two weights on each side of the heavy central body of the tonearm that provides for the majority of the effective mass (Inertial moment) for the horizontal mode of motion. 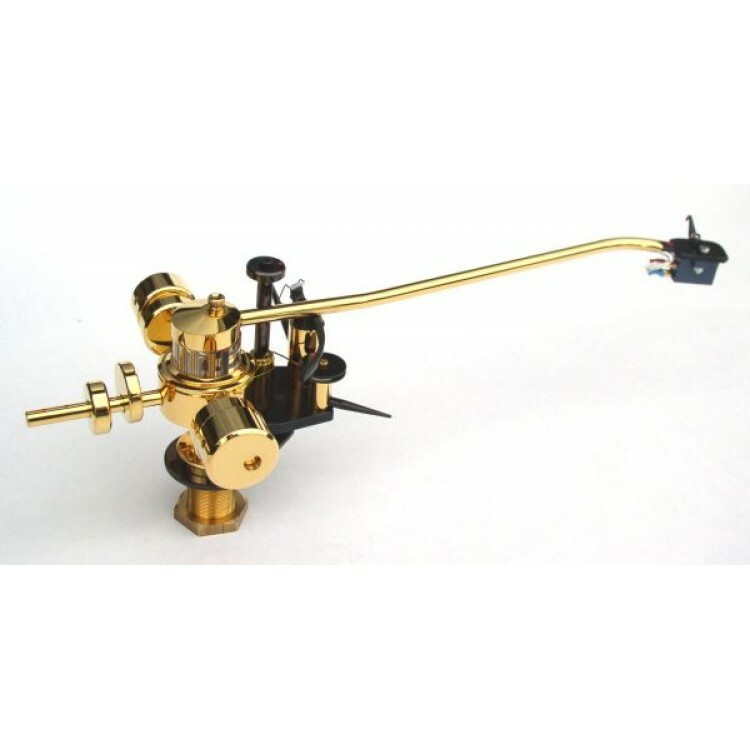 The center of gravity of these weights are pointing backwards – either upwards or downwards, so that they contribute to the counterweighs at the same time as they provide for moving the center of gravity of the moveable part of the tonearm up or down. Here the DP-8 is shown with a 12” armtube. Model DP-8 has a unique combination of bearings: For the horizontal mode of motion a silicone damped high precision ball-bearing assembly increases the stability provided by the large housing and sideweights. For the vertical mode of motion two precision sapphire bearings are incorporated. Model DP-8 has an integrated device for adjusting the VTA while playing. Markings for "getting back" to a special setting is provided. Supplied in CHROME- or 24 carat GOLD finish. The armtube plating being made without the use of magnetic materials.